WHITNEY HOUSTON R.I.P. ROCK IN PERPETUITY! Back in 1966, when I was recording for SMASH records my producers Stanley Kahan and Gary Sherman invited me to series of what are now considered historic radio and TV commercials they were producing for Coca-Cola. They would create one minute exact duplicates of current hit records with the original artists, and at the end of each track would use the tag line, “IT‘S THE REAL THING” in the style of the recording replicated. I watched Cissy Houston, of the Sweet Inspirations who was adding a background part to one of Aretha’s hits, keep one eye on her lead sheet and the other on her little daughter Whitney, who was quietly roaming around the studio. Even then she had an aura about her, a special indefinable quality along with a GOD-GIVEN voice of an angel that she was always able to tap into throughout her troubled public life. As long as there is a Valentine’s Day, “I WILL ALWAYS LOVE YOU’ will be an everlasting tribute to Whitney Houston and the love she shared with the entire world! Whitney Houston R.I.P. May you ROCK IN PERPETUITY! 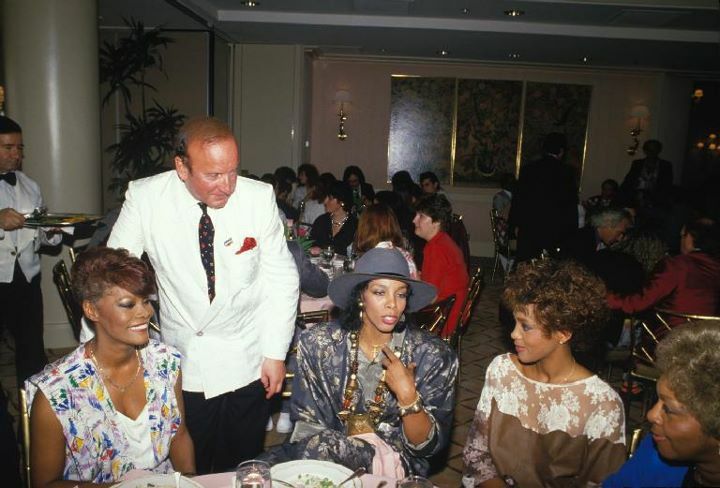 Tags: "I WILL ALWAYS LOVE YOU", CISSY HOUSTON, Clive Davis, COCA-COLA "IT'S THE REAL THING", GARRY SHERMAN, STANLEY KAHAN, WHITNEY HOUSTON R.I.P.